Dip your toes and front wheel in Lake Tahoe and dip them again a week later in the Pacific Ocean in San Francisco, how cool is that! Sierra to the Sea, an uniquely ACTC tour started by the late Past-President Rod Annable, has a new exciting route from South Tahoe to Golden Gate Park created by all ACTC volunteers and STTS Director Steve Crosby. This new route travels through folkloric passes and historical towns. Poppies, lupines, shooting stars, Indian paint brushes, and uniquely large Manzanitas greeted John Muir on his historic walk to Yosemite and remain unchanged to greet ACTC Tierra Bella cyclists on April 1st, 2017. Next year will mark the 40th Anniversary of Tierra Bella, a ‘beautiful country’ bicycle tour to showcase our graceful south valley to the bicycling community. The Gilroy Hot Spring loop remains a favorite and the recent Henry Coe addition was where John Muir travelled on his way to Yosemite. Urging every ACTC member to get involved, please help fill every position quickly when Rita Hernandez and Michael Hudick ask, tell your friends on social media, and register to ride with them if you are not volunteering to work on the Tierra Bella. John Muir would be proud of ACTC and the Tierra Bella. 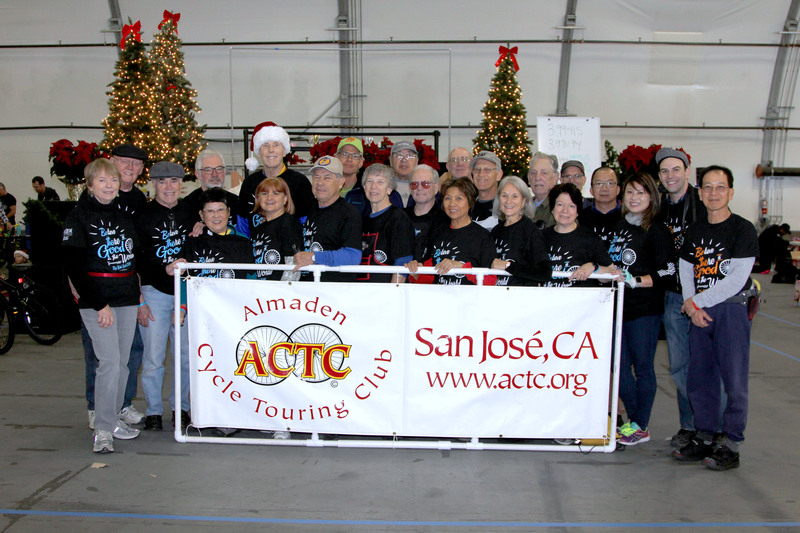 On this bright December Saturday morning, more than forty ACTC members, led by Jim Schallau, volunteered at the Turning Wheels for Kids (TWFK) Big Bike Build to assemble over 2500 new bicycles to be given free to underprivileged children. Jim and Marjorie Schallau, Past-President Herman Wadler, and I have been helping since the beginning of TWFK. Furthermore ACTC continues to have the most volunteers. Many more chances to help — join us in 2017! Very proud of everyone involved, the children thank you!